Coca-Cola-backed milk brand Fairlife is planning a marketing campaign this spring for its national rollout. CHICAGO: Coca-Cola-backed milk brand Fairlife plans to launch an integrated marketing campaign in the spring to showcase stories about the products’ origins and health benefits. 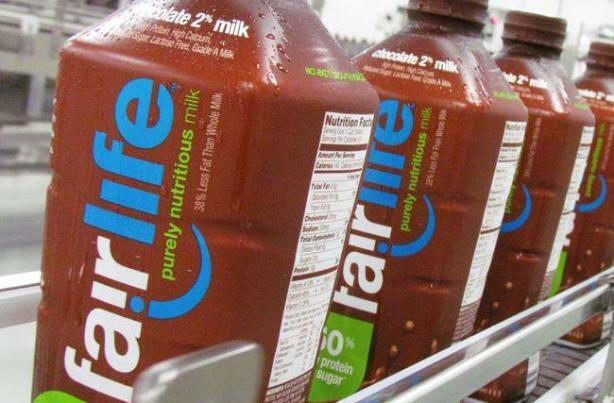 Fairlife, which is distributed and marketed by Coca-Cola’s Minute Maid division, expects to be available in a large number of retailers across the US by March, said Steve Jones, CEO of the brand, during a media call on Tuesday. "The [spring] campaign will emphasize Fairlife’s purity, taste, and nutrition, and showcase the Fairlife farms and families that own and run them," he added. Husband and wife team Mike and Sue McCloskey cofounded Fairlife in 2012 about 18 years after establishing Select Milk Producers, a group of more than 90 family-owned dairy farmers who aim to provide the highest quality milk to consumers. Coca-Cola entered a partnership with Select Milk Producers in 2012 to create Fairlife. "[The McCloskeys] are trusted connections into the Fairlife brand, which is a real advantage when you come to start marketing a new breakthrough product like this," Jones said on the call. The brand, which currently sells whole, reduced-fat, fat-free, and chocolate milk, uses a filtering process that reduces sugar by 50%, while increasing protein and calcium. It is also lactose-free. Jones declined to offer specific details about the upcoming campaign, but he said it will be integrated across many channels and will "be going after mass awareness." Social media will be an important part of the initiative because "both Millennials and young adults with families are getting their information from so many sources on social," he said. Fairlife will also invite retailers and members of the media to visit the farms so they can directly experience the brand and its culture. In-store activations, such as couponing and sampling, will be part of the effort as well. Fairlife will be available on shelves beside alternative milk products, such as soy and almond, because that is often where consumers look for "premium, higher quality products," explained Jones. Most people who are actively seeking value-added products know to look near the organic and plant-based sections of stores, he added. A 52-ounce bottle of Fairlife will reportedly sell for about $4.59, nearly double that of regular milk brands. Despite a slowdown in dairy sales in recent months, Mike and Sue McCloskey said they believe consumers will pay a higher price for Fairlife once they try it and understand its nutritious elements. "We believe in better," said Fairlife communications director Anders Porter. "Better for cows, better for people, and better for the planet." Edelman has handled PR for Fairlife for several months, including last December when the brand was criticized for ads deemed sexist for their portrayal of naked women being doused with milk.